One our instructors will be going over what to expect from the course. This is a great opportunity to ask questions concerning the parents role and student responsibilities during the course. No need to register, just show up on the evening that works best for you prior to the start of your teen driver class. 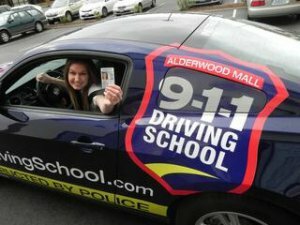 Also open to parents thinking about enrolling their teen driver with 911 Driving School of Everett. 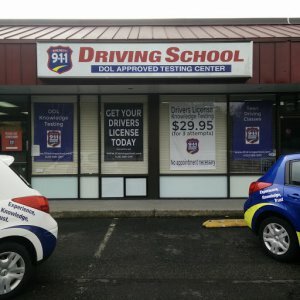 We’ve built a brand new facility, (Next to Mikie’s Drive-Thru) just a few blocks north of the Department of Licensing on Evergreen Way in Everett. Our new classroom and testing room are 4 times larger then the previous Everett location, so we can better meet your training and testing needs, in a spacious, and quiet environment. We are also under new ownership, with a friendly and helpful staff, with several years of experience. Check us out, and you’ll see why we have the finest drivers training program in the country. A large private knowledge testing center to comfortably accommodate more customers, with little or no waiting, and no appointment necessary! 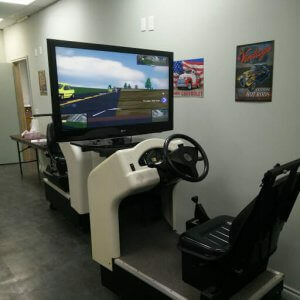 Behind the wheel adult lesson packages! We understand that preparing for and taking the knowledge and skills test can be frustrating and stressful. Many people struggle with the confusing nature of the DOL written test, especially with some of the changes in the laws and rules of the road. That’s why we offer 3 attempts for the price of one. That’s a $75.00-$90.00 value compared to other testing locations. This gives you the chance to study the areas that you had trouble with before taking it again. Many people study the Washington Drivers Guide in our lobby, and then take the test again the same day and do well. We have a quiet, private testing room with no distractions, that is an ideal setting for testing. We have the Knowledge test in 7 languages, listed to the left. For the Knowledge test and Skills test pricing and packages, click on the blue “STATE TESTING” tab below. 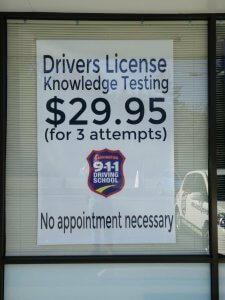 Once you have successfully completed the knowledge test, then we can schedule the Skills Test, (road test). This is by appointment, but we usually have Certified Examiners on duty, and available right away or later the same day. However, this is on a first come, first served basis. The Skills Test is usually where people tend to get a little nervous. Even some of the most experienced and skilled drivers can get a little anxious. All of our Examiners are specially trained, to set you a little more at ease before the test begins. We take a little extra time to explain what to expect, and we are not going to try to trick or confuse you, we want you to do well. For people that are very anxious about the test, we recommend our warm-up period before the test, which takes it a step further in calming an preparing for the test, and we will walk you through most of the requirements of the test. If you start early enough in the day, you can even get your drivers license on the same day! Give us a call for details. Now that we are through the holidays, it’s time to start thinking about the summer driving season, which will be here before you know it. It’s not too early to start planning for the summer classes, which tend to fill up before the end of the school year. If your teen will be of driving age soon, you can enroll in one of our classes now, to ensure a seat for them. They just have to be 15 years of age by the first day of the class. It also makes a great gift. Once you are enrolled in one of our classes, we will enter a waiver with the Department of Licencing, so there is no need to take the Knowledge test to get your driving permit. Then 10 days before the class begins, just go to the nearest DOL office and get your permit to drive. You will need the permit for your driving lessons with our instructors, but you can begin to practice as soon as you have the permit, so long as you are with a licensed driver with at least 5 years of experience. This is a great chance to get a head start on driving before the class begins, and many parents take advantage of it. 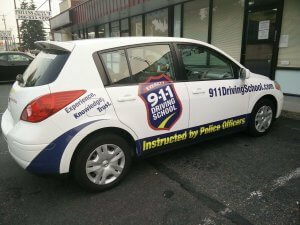 For pricing and to see available classes, click on the blue “TEEN DRIVING” tab below. Whether you are new to Washington, waited until later in life, our just need a little bit of practice in a certain area, we have private lessons that can help. Depending on your level of skill or training, our expert driving instructors can help you attain your goals. Some people come to us with no prior driving experience, but since they are over 18 years old, are not required to go through complete course, such as the new teen drivers do. We don’t try to up-sell you. If you have some experience, and are looking at buying a 5 or 10 lesson package, we recommend you take one lesson, for us to access your driving level, and you may only need a few lessons, (we’re not going to try to sell you something you don’t need). So if after the first lesson you choose to purchase additional lessons, or a package, we will just charge the difference, making that the first lesson of the package, (which ever is least expensive). 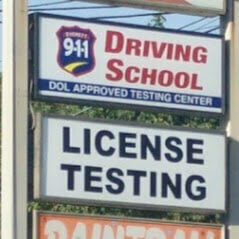 All are welcome at 911 Driving School of Everett. No mater where you are from or what your background is, you will always feel welcome here. Even if you have had some problems in your past, we don’t judge you. All of our instructors are current or former police officers, with decades or experience in dealing with people from all walks of life. But on top of that, we really love what we do, and it shows. Just take a look at our Google reviews. If you are new to the USA, one of the biggest challenges that many foreign drivers face, is the difference in traffic laws, and traffic speeds compared to their home countries. Our number one goal is to prepare you for a lifetime of safe driving on our roads. It is our duty to prepare you for the challenges that you will face on the road and ensure you are a safe driver. Since most of our instructors are also Certified Examiners by the Department of Licensing, we will know if you are ready for the State Skills Test. Give us a call or come by our office, and our friendly professional office staff can help you decide what type of program will work best for you. For pricing, packages and further information, click on the blue “ADULT DRIVING” tab below. Drivers Education classes taught exclusively by Police Officers! What sets us apart from other driver training schools, is that all of our Licensed Instructors and Certified Examiners, have a background in Law Enforcement. Many of which have 20-30 years of police training and experience. We know the traffic laws and the rules of the road, and we know how to work with people. We teach today’s teens how to become tomorrow’s safest drivers, making the roadways a safer place for everyone. 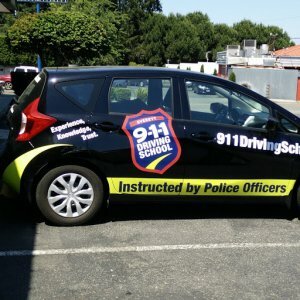 ONLY a Police Officer/ Instructor here at 911 Driving School of Everett, can provide such a vast amount of knowledge, trust, experience & hundreds of real-life experiences, making this the finest Drivers Ed program in the nation. Pre-Register here for your WA State Knowledge test. The price is good for three attempts for the same person. Only three attempts allowed per day. 1 WA State Road Test in Your Vehicle. To use your vehicle we will need proof of insurance, current tabs, and a pre-test vehicle check to make sure systems are in proper working order. Please call with questions. The WA State knowledge test must be passed before a Road Test can be provided. We can provide you with a temporary permit to take the test if you do not have a WA permit or license from another country. Please sign up here, then call to schedule. 1 WA State Road Test in 911 Vehicle. You must have a license from another country to use your own vehicle for warm up. Those with WA permits must use a 911 car per DOL. The warm up is intended for those who already know how to drive and are familiar with the rules of the road, but just want some time to relax and get comfortable. Testers will answer questions and practice any skills the customer wishes to work on during the warm up period. The same person who does the warm up will also administer the test itself. We schedule one hour total. To use your vehicle we will need proof of insurance, current tabs, and a pre-test check to make sure systems are in proper working order. The WA State knowledge test must be passed before a Road Test can be provided. We cannot provide a temporary permit for warm ups. For a list of all testing policies, please click the dark blue "policies" tab above and to the right? We have Honda Fits and Nissan Versas. You do not need your own insurance to use our cars. You must have a license from another country or a WA permit to do the warm up. We cannot provide a temporary permit for warm ups. The warm up is intended for those who already know how to drive and are familiar with the rules of the road, but just want some time to relax and get comfortable. Testers will answer questions and practice any skills the customer wishes to work on during the warm up period. The same person who does the warm up will also administer the test itself. We schedule one hour total. The WA State knowledge test must be passed before a Road Test can be provided. We value and honor our active duty military and veterans, and so we offer special pricing for those that have served or are still serving this great country of ours. We also offer special pricing for emergency services personnel, which we extend to direct family members. So please have proof of service at the time of enrollment to receive a 15% discount to active duty members of the U.S. Military, and a 10% discount for U.S. Veterans, and emergency services personnel, (active and retired). Thank you for your service! One 60 Minute Private Adult Driving Lesson with Pick up and Drop off Service. You must have a WA State permit or a valid license from another state or country with you at all times to take lessons. All lessons are done in our school instruction vehicles, which are equipped with an instructor brake and mirror. All vehicles have automatic transmissions and are fully insured, so you do not need your own insurance to take lessons. All lessons are customized to the individual customer, and we can work on anything you wish. Lessons are available 7 days a week at all times of day. Pick up and drop off locations must be within a ten minute and 5 mile radius of our school. Five 60 Minute Private Adult Driving Lessons Package. You must have a WA State permit or a valid license from another state or country with you at all times to take lessons. All lessons are done in our school instruction vehicles, which are equipped with an instructor brake and mirror. All vehicles have automatic transmissions and are fully insured, so you do not need your own insurance to take lessons. All lessons are customized to the individual customer, and we can work on anything you wish. Lessons are available 7 days a week at all times of day. The knowledge test must be passed before we can administer the road test. You must have a WA State permit or a valid license from another state or country with you at all times to take lessons. All lessons are done in our school instruction vehicles, which are equipped with an instructor brake and mirror. All vehicles have automatic transmissions and are fully insured, so you do not need your own insurance to take lessons. All lessons are customized to the individual customer, and we can work on anything you wish. Lessons are available 7 days a week at all times of day. Pick up and drop off locations must be within a ten minute and 5 mile radius of our school. The knowledge test must be passed before we can administer the road test.